Unhappy With Your Web Site? We Can Help You. Are you frustrated with your web site? Is it just not working? Does it look bad on mobile? Don’t know where to start? Stop. Breathe. Smile. We can help you. The cornerstone of any online success is your home on the web. Your web site needs to give a clear message and inspire visitors to take the next step. We can show you how to make that happen. How? Read on. Every web site needs a reason to be, a purpose to fulfill or a job to do! Who are we trying to reach with our website? It is very important to know the target audience or “demographic” you want to appeal to with your web site (or any form of public marketing for your organization). A site intended for high level industry professionals will and should have a very different look, feel and function to a site intended for children or a site intended for selling fashion accessories. A good thought experiment is to write down the attributes you would want in your “ideal” visitor. This will really help in answering the other questions going forward about your site. What do we want visitors to our website to be able to do? A web site can allow a visitor to find and do any number of things and it is up to you to decide what functions you want to provide. Is your site just about information? Are you looking to sell a product or encourage prospective clients to contact you about buying a service? Do you want visitors to be able to get an online quotation or to be able to donate money? Don’t limit your vision. 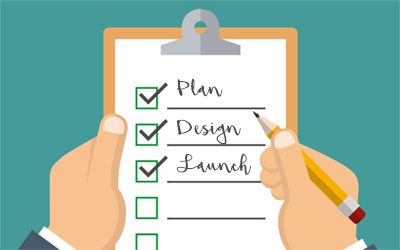 If you don’t have the full budget, or your business isn’t quite ready to service all the features you want, you can always split your project into stages and launch a site that can easily grow, expand and develop when you are ready. What “call to action” do we want for our visitors? This is a very important, arguably the MOST important question to answer about your web site before starting any design process. How do you want a visitor to act ideally on finding your web site? Do you simply want to encourage them to telephone your company? Do you want them to make an online request to contact them? Do you want them to go ahead an make a purchase or a booking right there on your site? Do you want them to send you information, or perhaps subscribe to your mailing list? Here again it can help to make a simple point-by-point plan on paper, from “A visitor arrives at your homepage…” to “A visitor leaves your website.” Having this information at hand will enable you or your designer to tailor every element of your site to making this happen. What “style” do we want for our site? Almost certainly if you are reading this you have spent some significant time “surfing the web”. By now you know what you like, what you dislike and what you find just plain delicious. If you are in a business or organization you have very likely spent time browsing your competitors’ web sites, or sites similar to the one you want to build. Bookmark these sites and write down what you like or hate about each. You may love the way a menu works in one site but hate the color scheme. On another you may like the way they take orders, but find the site hard to navigate. At our company we call these sites picked out by a client “exemplars” and they can be invaluable when creating the look, feel and function of a site that will meet what the client’s vision for their project. 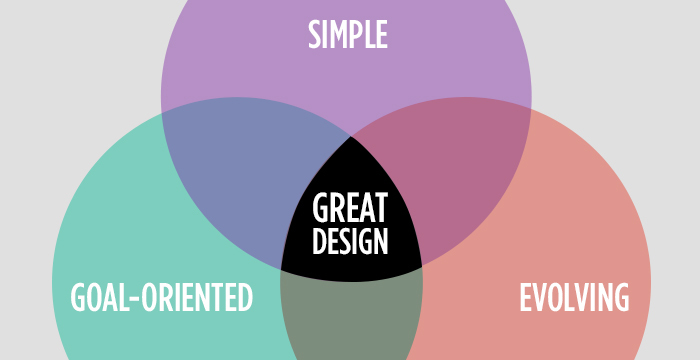 There is nothing wrong with adapting a good idea from one site to use on your own or taking inspiration from another site in the design of your own. As a web designer, this is actually one of the highest compliments one can receive. On the flip side, don’t try to re-invent the whole web site concept. Visitors expect to find navigation menus in certain places and pages such as a “contact us” are a useful standard. The balance in style is between building a site that looks pleasing, distinctive, and professional, but has the type of functionality a visitor expects and can easily navigate. What is our budget for this project? 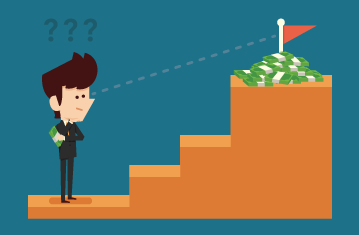 Budget is a very important factor when approaching a web design project. Some costs, such as domain registration and a hosting account, cannot be avoided but if money is extremely tight you may consider building a site yourself or finding a “talented amateur” family member or friend who will give you a hugely discounted price. If you choose to go with a professional you should definitely get several quotes and ask for project proposals and estimates from each of the companies you contact. Beware of companies that can quote you a price almost without hearing any details of your project. Don’t be afraid to ask lots of questions! Your web site represents a significant investment and you should get clear explanations of what is involved and how the project is priced. On the other hand you should also be ultra clear and specific about the process flow of your business. Remember, your designer might know little to nothing about your industry and without sufficient specifics from you, there can end up being unexpected costs when the designer has to rework the design and coding. So you have your web site planned out. You know who you want to visit your site, what you want them to do when they get there, and have a pretty good idea how you want your site to look. Now it is time to give your site a name. For a web site that means “registering a domain name”. Domain names can be registered pretty cheaply (from about $8 to $20 depending on the domain type). If you are working with a web design company they may be able to suggest available names and take care of the registration process for you, as this does mean configuring a few variables at the time of registration and many web companies have a bulk account that get’s them a better price on registration. You have almost certainly seen ads on the TV for “domain registration for only $0.99”. Do not be surprised if that bargain price only comes as part of a “package” when purchasing, such as hosting or e-mail accounts. Don’t be afraid to shop around and read what people say about a registrar online (Google their name plus “reviews” or “customer service”). Of course before you can register you need to find an available name! Every registrar, and a great many design and hosting companies, have a domain name search feature. If your organization name is very much your brand, or something people are likely to search for online buying a domain that reflects this can be a good idea. Alternatively you can search for a name that contains “key words” relevant to your business that visitors may use when searching. Some studies also suggest that having “keywords” in your domain can also slightly help your eventual search engine placement. A competent web professional should be able to suggest five or six good (and more importantly available) options for you or you can start searching until you find a name you like that can be registered. If you are absolutely set on a name already registered there is a possibility the owner might sell but this can be very slim (75% of owners simply don’t return inquiries about buying their domain names). Buying an already registered domain from a third party owner can be VERY expensive if not handled with caution, as many domains for sale are heavily overpriced. A web professional should be able to give you guidance if that is a way you are thinking of heading. You should also be aware of the “extension” (.com, .org, .net, .biz, .co.uk) that will work best for your project. “.com” is the standard for a business, but if you are a charity or social organization you may be better with a “.org”. Our company web site has more information about domain extensions and domain registration in general. If you are looking to self-register a good place to start is with GoDaddy.com. No company has 100% perfect reviews, but we have used them since 2002 and have always been very pleased with their service! that have entered the everyday vocabulary of life. A great domain name sticks in the mind, tells the public who you are, and is like an online signature. There are still millions of great domains not yet taken and the price to make them yours can be as little as $15 a year. 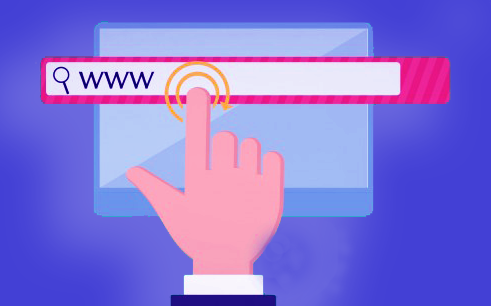 Wilmington Web can help you find the domain that is just right for you! A great domain name is easy to remember and easy to type quickly. If your name is Robert and you sell bicycles you might want to build your site under bobsbikes.com (sadly already taken by a media company in Alabama). Search for a domain name that is short, sharp, and says as much as possible about your business. A domain “extension” is what comes after the dot at the end of the domain name, such as .com, .net, .org, .biz. Below is a table that explains the meaning and use of the main domain extensions, but you might want to invest in a few variations to ensure that no other organization adopts a variation of your name. If you want to register davescabs.com make sure that daves-cabs.com is not used by a rival company. Many organizations (including Wilmington Web) own the hyphenated versions of their domain names for business security. With the low price of domain registration, it makes very good sense to protect your name. Wilmington Web administers dozens of new domain names every month, and we are experts in choosing and setting up the right domain. Call us today and let us take the worry out of getting the best domain for your organization. What do the domain extensions mean? .COM The classic domain extension. A .com name is used for any commercial venture, usually based in the United States. .NET This extension is generally used for any online business that supplies to the Internet industry itself. Why then are we not a .net? Wilmington Web supplies to the end customer and also deals in offline business such as training. A .com is more all encompassing than a .net extension. .ORG This extension is used for non-profit organizations, such as community groups, charities, and special interest groups. .BIZ Developed to rival the .com extension. These can be effective if used in conjunction with a memorable domain name. .US Used for any web site distinctively and solely to do with the United States. .INFO Used for any web site whose sole purpose is the supply of information. For example, if you simply want to tell people about the species of birds found on the North American continent that would be a suitable use of the .info extension. .GOV Solely and exclusively used by the government and local civic bodies to distinguish their web sites from companies and individuals. .CO.UK Double extensions with a country abbreviation added are most often used for any site trading, or primarily trading, in the country specified. So you have your project plan and your domain name (whew! this web thing is a lot of work, but trust me the more you plan the better your website will be!). Now you need somewhere for your web site to live. This is known as hosting. For the newcomer, information about web hosting can be baffling and overwhelming. Our company site has a beginners guide to web hosting but the rules here are similar to finding any service. A great litmus test for any hosting provider is simply to give them a call. If you can’t get a response, spend half an hour talking to a machine or find you have reached a new friend in India, these are bad signs that signal that when you have a problem, help will be hard to find! Step Four: Who Will Build My Web Site? So, you have a name, a plan and a place for your site to live. Finally, it is time to start designing! The choice here is to try to build yourself, “self-build”, or find a professional to do the job for you. A half way house some use is to find a family member or friend who dabbles in web design and will do the job for as little as a case of beer. I would strongly advise against this route as the design process can be quite intense and is apt to place some strain on any personal relationship if significant redrafting is needed or the design is not all you had hoped for. If your first designer is not up to the project you can fire them and move on. Letting go of a family friend can present far more issues. If choosing to self-build, you should be aware that there will still be costs, most significantly your time, but also possibly in obtaining software to use for coding or manipulating graphics. Although it may not look the case on the screen a web page is a complicated computer coded document far more involved than a Word document or even a Powerpoint presentation. There are a lot of factors to consider: various screen sizes and types of browser, optimizing images for fast download, and perhaps most importantly building to the best standards for Search Engine Optimization. There are a few simple site-builder programs, many of which come free with your hosting account (such as Yahoo SiteBuilder) that have a WYSIWYG (What You See Is What You Get) format but in many cases your design will be limited to templates provided and if you want anything more than basic functionality on your pages you may well find the software struggles to accommodate you. Saying all that, for some people creating a new site these programs are more than sufficient. Another possibility is to use a free content management program such as WordPress, which is free and easy to install on your hosting space. 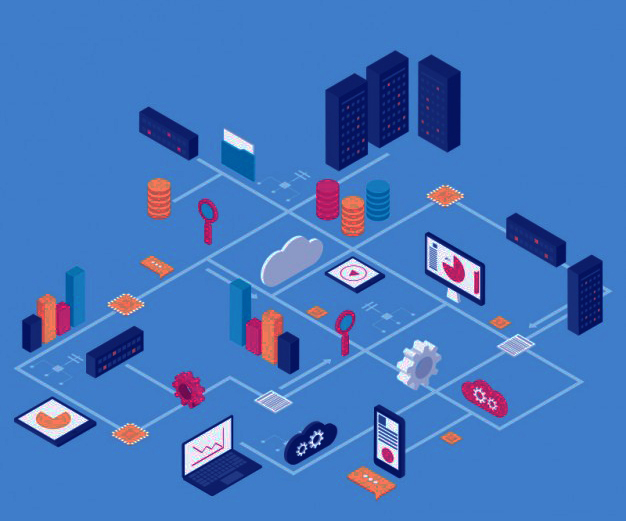 Many companies, ours included, offer these as standard with hosting accounts and the software can be installed with just a couple of clicks. If your site is mostly informational this may well be the solution for you and both these programs have extensions that can add some dynamic functionality to your pages but you are still looking at a significant time investment and anything beyond fairly simple pages will start to stretch your learning curve if you are new to web design concepts. The other option, of course, is to hire a professional web designer. Using a good professional can take away all the stress and endless hours of frustration a newcomer finds when building their first web site. A good designer will talk you through the process and go over your needs in detail before providing you with an estimate and a project outline. Again, beware of companies too quick to quote an, often large, off the cuff price. Such companies can be web page “factories” that turn out the site they want to give you, rather than the site you want, with very little recourse. As with any profession, with web designers there are sharks in the water. Be VERY wary of anyone asking full payment up front, making promises that seem too good to be true, or who seem to be avoiding your questions. Another good rule of thumb is how easy a designer is to contact. If they are quick to return your calls and e-mails that is a good sign they will be responsive to your needs. Another question often not asked is “do you like the designer?”. For a small business a web design project can mean working quite closely with a designer and a good degree of mutual understanding. A personality clash between client and designer can be a disaster for a project leaving both sides very unsatisfied. If you find a rapport with your designer, the chances for a successful project certainly increase. There are a lot more issues with self build and hiring a professional, but if you think of design like fixing your car you can’t go too far wrong. If you can do the work well yourself, go right ahead, but if you need to hire a professional look for someone trustworthy, well recommended, accessible and competitively priced. Step Five: Letting The World Know Your Site Is There! So you finally have a site built and online. Time to sit back and watch the hits fly in? Unfortunately the concept of “if you build it they will come” does not apply to Internet. The big concern for almost all site owners is how to get the best Search Engine Optimization. Search Engine Optimization is a complex and contentious area with millions of words written every year trying to explain it’s mysteries. Here are a few pointers everyone should know. 1. A good web design will start life at launch with all the key factors for optimization in place. Proper use of title and description tags, good keyword density and cross site linking, alt tagging, etc. should all be in place at roll out. 2. If the mantra of the realty business is “location, location, location”, the first cry of good web design is “content, content, content”. I cannot stress this enough. The more value content (interesting, useful and well written) you can put out there on your site, your blog, articles sites, online press releases, your company Facebook profile, your own Linkedin profile, the better your site will do. Remember, if you are putting content elsewhere but on your own site don’t forget to link back to it! Just as important is to keep content fresh. Sites that haven’t changed a word since 2007 attract less return visits and lower Search Engine placement. 3. You don’t have to pay a company a fortune to achieve success. Anyone who owns a web site has received the e-mails offering top Google placement for a set monthly fee. In most cases these are empty promises (you just get a set of doctored stats e-mailed to you every month) and worse the company may be using link farming or other techniques considered spam, Spamdexing, that could lead to your site being penalized or worse blacklisted! We understand that your web site will grow with you. We will help you nurture your site as a cornerstone of your business, and you will understand why you invest every penny. Ask our existing clients if we are worth it. 4. 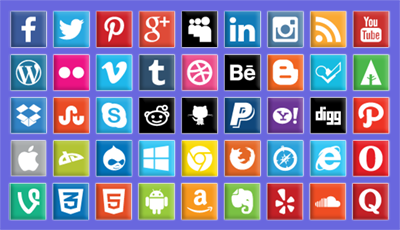 Get into Social Networking! Start a blog (you are reading an example), post a video on YouTube, set up a company page on Facebook, post press releases online, write and post articles about your area of expertise…. The possibilities are growing all the time and the more work you put in the better the results you will achieve. Don’t forget to link everything back to your site!! 5. Don’t forget your Offline marketing. Your web address should be on business cards, headed paper, fliers, t-shirts, banners, vehicles, in newspaper ads, television ads, radio ads. If you are lucky enough to be interviewed about your project unashamedly plug your site!! The more people see your site name, the more it will stick in their mind as THE place to go for your kind of product or service. We are waiting to hear from you, and remember that our first consultation is always free and at no obligation. Why not call us on 910-297-0321. Not Happy With Your Current Site? We Can Help You. Is your web site holding you back? Do you worry that it isn’t reaching the right people, or worse that it is turning them away because it sends the wrong message? Let us help you put it right. We can produce a complete web site audit for you in just a few days. This will tell you exactly, and in clear details, what is wrong with your site at a technical level. Is it clear what you want visitors to do when they reach your site? This is known as a “call to action”. Do you make finding and working things on your web site as easy as possible? There is a rule known as the “fewest clicks” rule. This means, can your visitors find exactly what they need in the fewest clicks possible? Are you touching their hearts as well as their heads. Your page should create an instant emotion impact when they land. They should feel they have found a place that gives them answers, as well as see the answers explained. How are your visuals? The Internet is primarily a visual medium. If your images are unappealing you are turning away visitors at an instinctive level. Show your clients the potential success they hope for in their hearts. Does every page have a clear and simple purpose? Every page on your site should have a mission that you can describe in one short sentence. If the purpose is multiple or muddled, split the page so each message is made clear, and then flesh out the new pages with fresh new content entirely focused on that message. Does the site LOOK good on mobile as well as your desktop. Try out your site on as many different devices as possible. Get as much feedback as possible from those around you. Ask your clients, trusted friends and family to give you their honest opinion. Reward criticism, and make sure they are specific. Maybe give away a voucher for the best suggestion. Try posting your site in the Facebook groups that allow this and ask for feedback. This can be an amazing well of insight that can point you in a great direction for success. We have many clients now entering their second decade trusting their online presence to Wilmington Web. We can help you get on track and make real progress toward amazing new horizons! We can put your web site right, and keep it getting better all the time. Call us today, and give us the opportunity to show you how. A Great Site, but Need To Go Further? A terrific web site is just the beginning. You have built a terrific vehicle for your business, and now is the time to set off on that journey. You still need two things: A map of the terrain and the right tactics to navigate it. Wilmington Web can help you find it. We offer a truly comprehensive analysis of your keyword landscape and your competitors. Our keyword and competition analysis package can give you all the data you need for your SEO voyage, and at a price everyone can afford. Armed with the right information, we can offer you the tools and experts to get the job done alongside you. We can build the right Search Engine Optimization package that will give you the web site momentum, results and conversions you have been dreaming about. So, what can you realistically expect for your investment? Although we strongly disagree with instant quotes and “one-size-fits-all” pricing, here is a guide to what you can expect to receive for your web site development budget. Even on the smallest budget, we can produce a site which will introduce your business and allow your audience to engage and connect with you. Excellent Content Management Systems (such as WordPress, the platform this site is built on) offer a vast spectrum of designs and functions at a low cost. You should expect to utilize a “theme”, or adapted design, rather than a design which is fully custom built. You should also expect to provide your own copy and images to be integrated into your pages. One huge advantage of any Content Management System is that, one your web site build is in place, you will have an extensive level of access to make your own changes as needed, without the need to understand a single line of programming code. As such, even on the smallest budget, this is a great way to get you started! For this size budget you should expect more customization to your design, across a site of around five to ten pages. In addition to design, you should also focus on content and copy, as well as a level of Search Engine Optimization. Content is the most essential part of your web presence. There is overwhelming evidence that prioritizing quality content, Search Engine work, and connection to social media is key to long term growth and results at this level of budget. For this level of investment, you should expect a fully custom design. You will still be looking to find the right balance of copy creation, graphical design, Search Engine optimization, and custom functionality such as online payments and purchasing. In can be sensible to break your project up into phased roll outs. Additionally, it can greatly increase you scope if you have an in-house team member who can produce great copy and has the knowledge to grow your presence on Social Media. At Wilmington Web we can help you both optimize your spend in the way that most delivers on your unique needs, and also provide training to your team to help you make big savings by bringing regular important tasks in-house for your organization. For this level of budget you should expect a high degree of custom design and custom functionality. A site such as this can truly put you ahead of the competition by guiding your leads and clients through a structured online process carefully designed to meet your goals. You should expect copy and graphical work, Search Engine Optimization, Social Media integration, and e-commerce automation and integration. For this level of investment you should expect to receive an online presence which will become an indispensable and powerful arm of your organization. For investments at this level you will receive custom design, custom functionality, graphics, content, Search Engine and Social Media work. Our team will work closely with you at every level to craft a site which strongly focuses your target audience and the action lines and processes they will follow to successful conversions online. At this level you are looking at a true revolution for your organization, taking you to a whole new phase of technological advancement and success. As you grow, your site will be fully reflexive to new needs and challenges, while giving you a truly solid foundation for your core activities. AT WILMINGTON WEB OUR GOAL IS TO DELIVER YOU A SITE THAT MEETS YOUR NEEDS AND FALLS INSIDE YOUR BUDGET. We begin every project by listening to you to discover your needs and then offer solutions that will meet these in the best time frame and at the right price.